A full solution for coating semiconductor wafers with uniform thin films of photoresist in applications where traditional high speed spin coating cannot provide uniform coverage of deep well topographies or high aspect ratios such as MEMS. 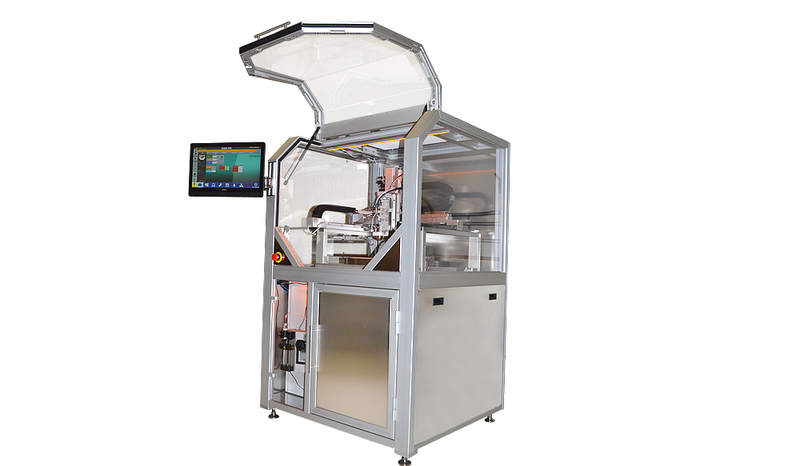 Designed for 100, 150, 200, and 300mm (option) semiconductor wafer processing. 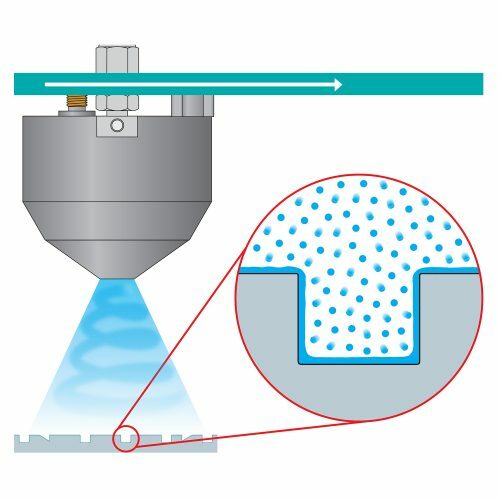 Direct spray photoresist coating onto MEMS wafers and other 3D microstructures has been performed for the past decade, with significant research regarding the advantages of spray deposition into deep well (high) topographies. Photoresist coating with ultrasonic spray is shown to have advantages over conventional spin coating in depositing a more uniform coating, particularly along the top section of side walls in high aspect ratio trenches and v-grooves structures, where centrifugal spin makes it impossible to deposit a uniform film along the side wall without excessive photoresist being deposited on the bottom of the cavities. 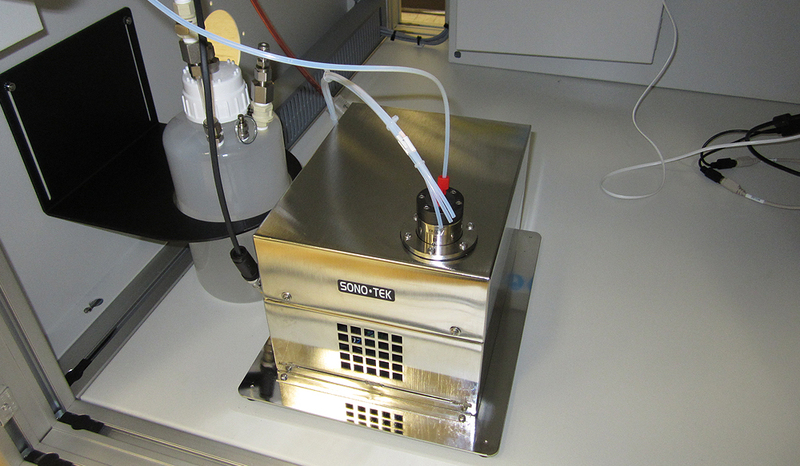 Ultrasonic spray is a simple, economical and repeatable process for photoresist coatings in photolithography wafer processing. 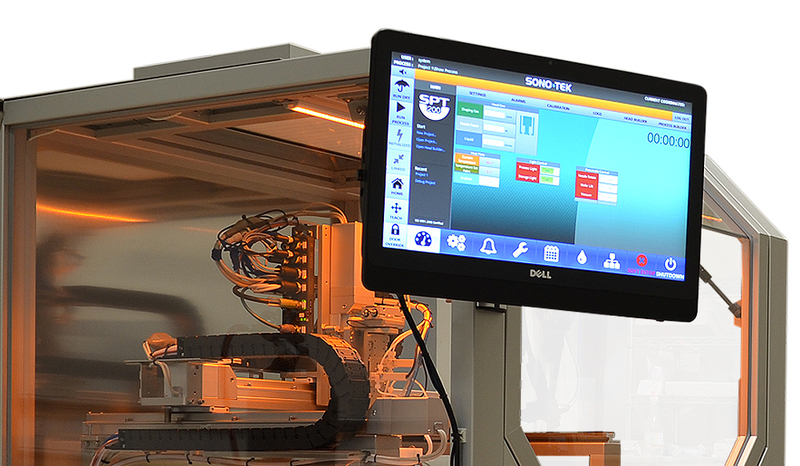 Sono-Tek ultrasonic coating systems enable fine control of flow rate, coating speed, and deposition amount using an advanced layering technique. Low velocity spray shaping defines the atomized spray into precise, controllable patterns, avoiding overspray while producing very thin, uniform layers. 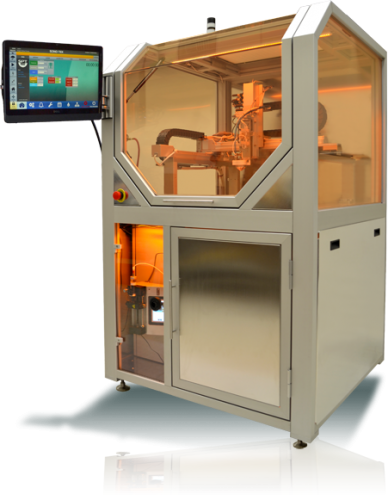 Direct spray coating using ultrasonic technology is proven to be a reliable and effective method for depositing photoresist onto 3D microstructures, resulting in reduced device failure from overexposure of the metal to etchant. Read a technical article describing photoresist film coverage improvement using ultrasonic spray technology. Uniform thin film coverage of various surface profiles. Capable of coating high aspect ratio trenches with excellent uniformity. 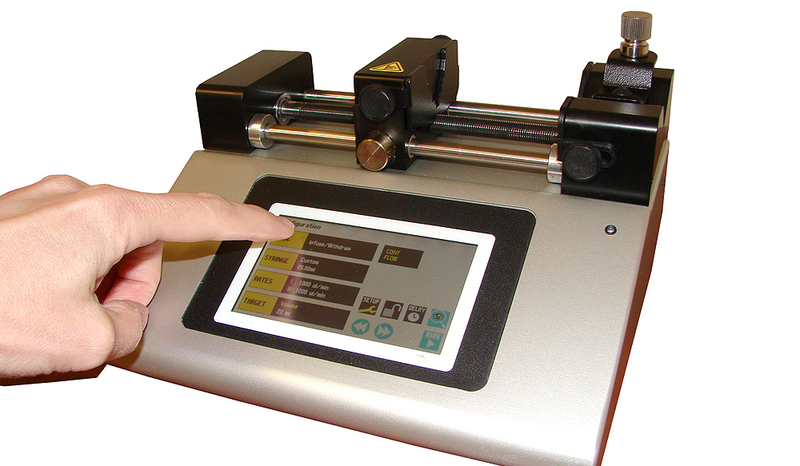 Ability to deposit thin single micron layers with high uniformity. The heart of all Sono-Tek spray systems is our patented ultrasonic spray nozzle, which uses high frequency sound vibrations to produce a soft mist of mathematically defined droplets. This eliminates clogging, since no pressure is used to produce the spray, and the droplets have a very narrow drop distribution size, further contributing to uniformity of the layer deposited. 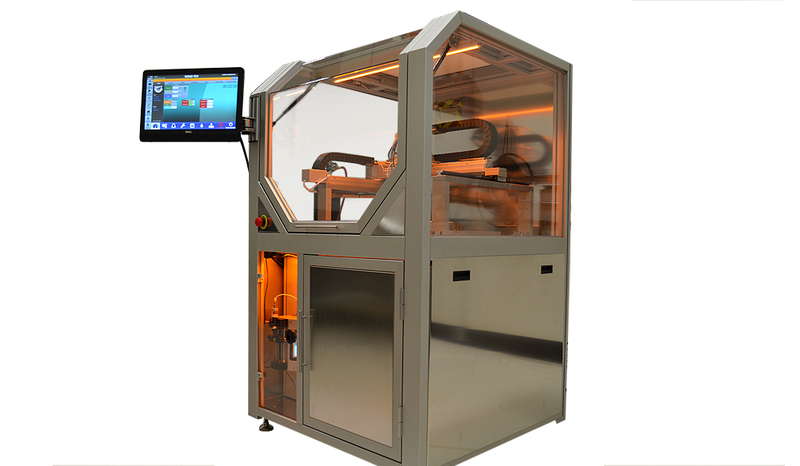 Read more about how our ultrasonic nozzles work.